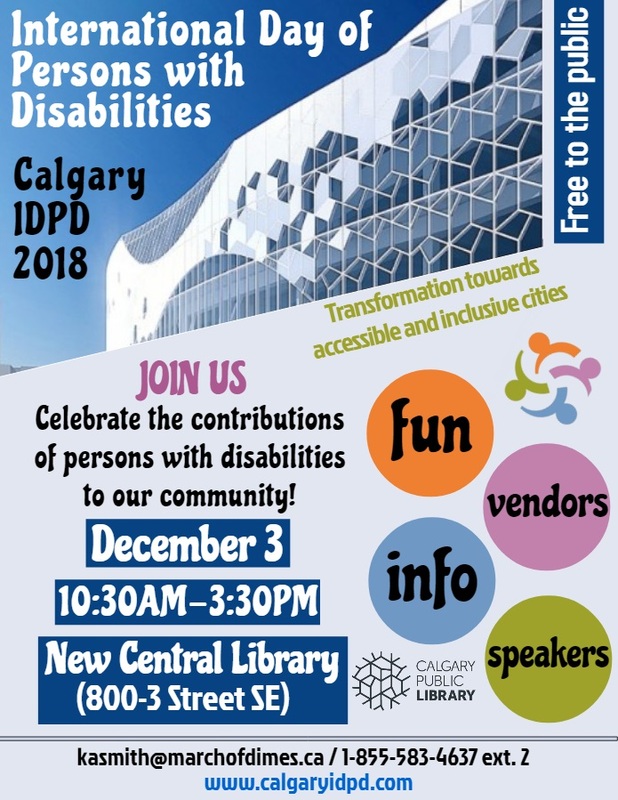 The International Day of Persons with Disabilities will be celebrated in Calgary on December 3rd, 2018. 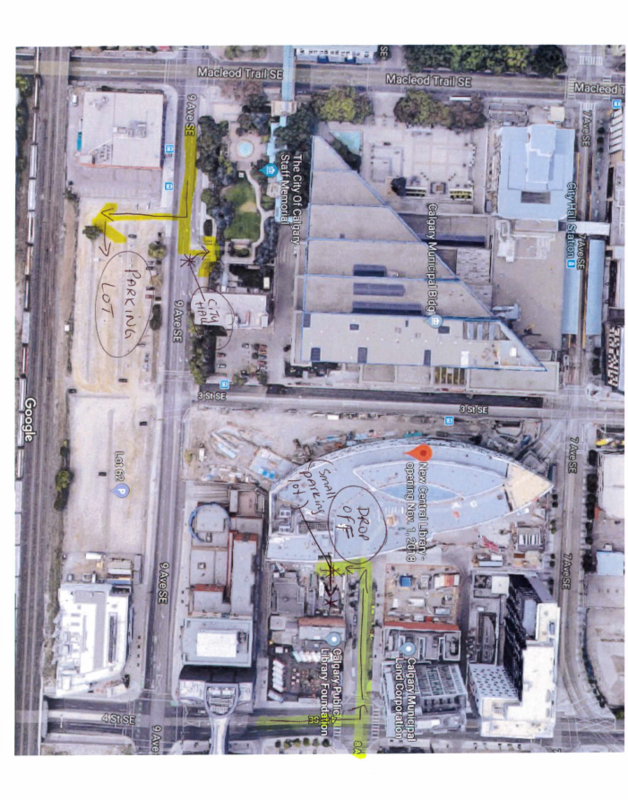 It will be held at the New Central Library from 10:30 am-3:30 pm. 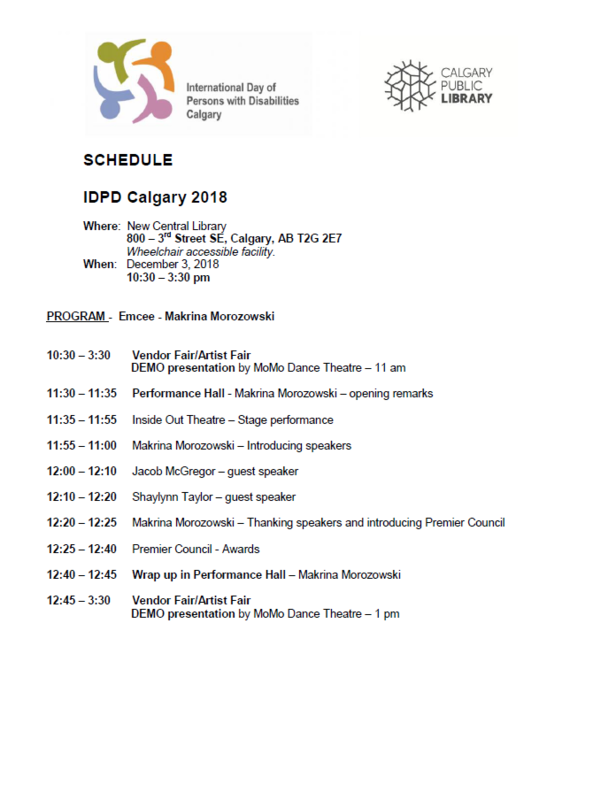 Read the posters below for more information on this celebration!